Financial Tips #3: Never drive for more than the speed limit. 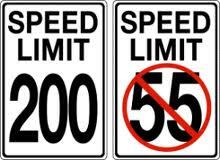 I know many hot-blooded men out there who always love to speed regardless of the speed limit. 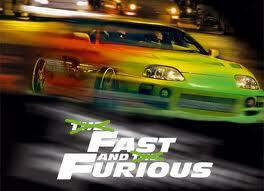 More over, thanks to Fast & Furious, many are even motivated to drive even faster. If you are rich enough, then do whatever you like. But, if you are trying to become rich or want to create wealth, please, don’t drive over the speed limit. Why? Because while you will enjoy the thrill of driving 160km/hour or 200km/hours, when a speeding ticket comes to your house, your exictement will be short-lived plus your wife/girlfriend will certainly nag you (I’ve told you so!) and it will burn a hole in your pocket. I personally had picked up 4 speeding tickets, all from my journeys in North-South Highway(NSE). I had paid two of the speeding tickets and still haven’t settled the last two. Waiting for any discounts. :-). That’s RM400 already (1 speeding ticket in Malaysis is RM300, but I got discounts). Imagine what we can do with RM400? Now, it’s gone and what’s its ROI? Zero, maybe some high-speed driving thrills. That’s all. So, if you are serious of creating wealth, don’t drive over the speed limit. Speaking of the devil, while I was preparing this post, I was driving down to KL for my IKEA shopping and guess what, there’s a road block before Tapah (South bound) and luckily, I wasn’t blocked because I followed the rules. Saved RM300. Yeah, extra RM300 to spend in KL Ikea. That’s my 3rd financial tips. Share with me your views on speeding tickets. What’s your experience? Financial Tip #2: Use shorter period of installment for your car loan. Next story Free Kaspersky Internet Security 2011!!! Previous story YES! 1st 4G Mobile Internet in The World @ YTL Communications!